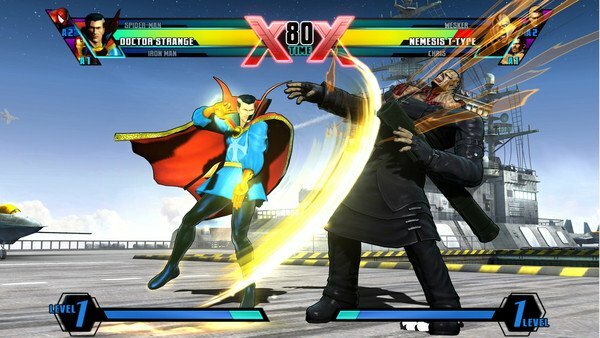 After adding popular characters such as Ghost Rider, Hawkeye, Firebrand and Strider Hiryu to the roster for November’s release of Ultimate Marvel vs. Capcom 3, two new combatants have joined the action. 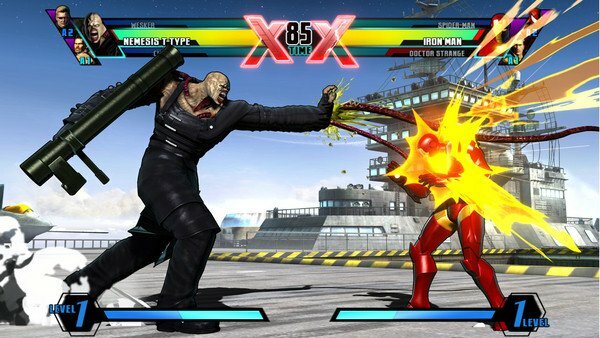 They may not be that surprising since their names were included on the leaked list of fighters coming to Ultimate MvC3, but the gameplay trailers displaying Dr. Strange and Nemesis battling it out are still worthwhile nonetheless. Since GamesCom 2011 is in full swing, Capcom released the trailers for each character showcasing their specific talents and exciting moves that fit in perfectly with the super fast fisticuffs that the series is known for. Nemesis is exactly as you’d expect to appear as: a walking tank carrying a bazooka. He seems to play like other larger characters in the game like Hulk and Sentinel with a hyper combo that is straight out of Resident Evil. Strange on the other hand, looks to be one of the trickiest fighters yet, using traps and projectiles to fool opponents. He’s no slouch in building an air combo either, not to mention his teleports are seriously going to piss off some players who like getting up close and personal. Expect much more from Capcom in the next few weeks to reveal the last set of fighters to join the fun in Ultimate MvC3. Can’t wait for Phoenix Wright!